developed for the Optimize Heart Failure Care program. 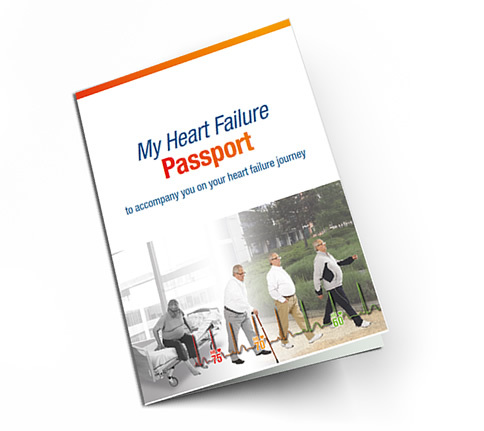 “My Heart Failure Passport” is designed to help patients play an active part in the treatment of their heart failure by monitoring key measurements, recording the medication they are taking, and understanding the disease and the importance of making changes in their lifestyle. Thanks to this passport, patients can regularly record their weight, blood pressure, heart rate, symptoms and quality of life. The health care professional will discuss with the patient her/his optimal heart failure care according to her/his condition. The daily recording of the measurements will be very useful for discussion with health care professionals for follow-up appointments. My Heart Failure passport will accompany the patient on his/her pathway. 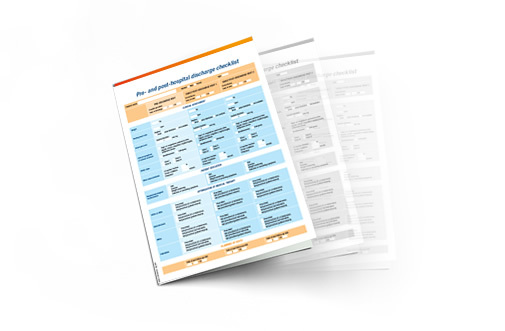 The pre- and post-hospital discharge checklist records the key aspects of heart failure at 3 visits: right before discharge and at the 2 early post-discharge visits, to monitor the progression of the disease, and treatment optimization (according to European guidelines in the management of chronic heart failure). 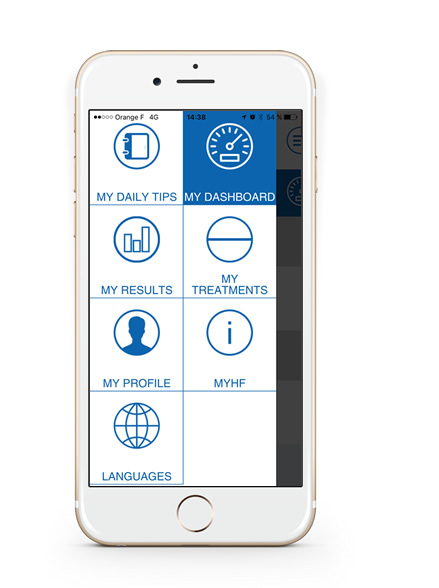 MyHF application is a smartphone application dedicated to patient education and follow-up. MyHF allow the patient to build up a complete picture of heart failure, and may be useful for follow-up appointment with health care professionals. MyHF application provides practical tips to improve the patients ‘knowledge on heart failure, as well as its daily management through 3 main topics: diet, exercise, and adherence to treatment. MyHF application can finally also be used as a daily treatment reminder; the patient can record her/his current treatment and activate the push notification, to remind him to take medication at specified time. With all these parameters recorded by patients, it also serves as a follow-up tool for health care professionals during clinic appointments. MyHF is available worldwide for free on the stores. 12 languages are available : Brazilian, Czech, English, French, German, Korean, Italian, Portuguese, Russian, Slovakian, Slovenian, Spanish. The slide set supports the rationale and medical evidences for the need to optimize heart failure therapy at the earliest opportunity, starting prior to hospital discharge and during the subsequent post-discharge visits. Timing matters in heart failure management and the need to act at the right time is key to generating the best outcomes for heart failure patients.